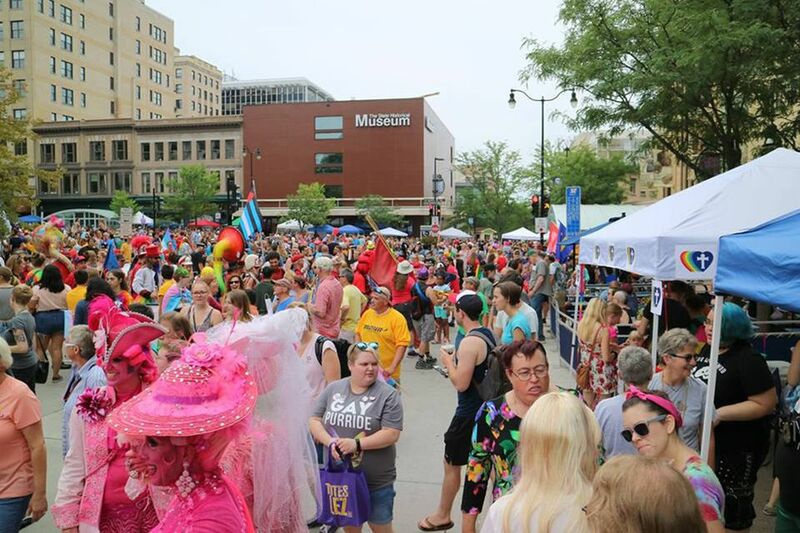 In the progressive and very LGBT-friendly university city of Madison, the region's vibrant LGBT community celebrates Gay Pride, which is presented by OutReach, South Central Wisconsin's LGBT Community Center, over a weekend in August. There are a handful of events taking place during the weekend of Madison Capitol Pride, including a Betty Lou Cruise on Lake Monona; a Madison Pride Volleyball Tournament on Saturday and Sunday of Pride weekend; a Woof's King Street block party; a pre-Pride brunch the day of the parade;and a Woof's Pride on the Patio party and tea dance on Sunday, following the parade. On the big day, the Madison Capitol Pride Parade departs from State Street (the 500 and 600 blocks) at 1 pm and proceeds to and then around Capitol Square, after which a rally is held on the Wisconsin State Capitol steps. Community vendors and nonprofits will appear at the rally and festival. Numerous LGBT bars, as well as LGBT-popular restaurants, hotels, and shops, have special events and parties throughout Pride Week. Check local LGBT papers, such as Quest for details, and also have a look at the Madison Gay Nightlife Guide. Also take a look at the excellent travel site produced by the city's official tourism organization, the Greater Madison CVB.